While teeth whitening is the premier cosmetic dental treatment in the U.S. and considered to be extremely safe, a small number of people are not suitable for whitening treatment. This is either due to medical reasons, or because whitening is highly unlikely to be able to create the result desired by the patient. The best candidates for teeth whitening are those individuals who have healthy teeth and gums, zero or minimal fillings, and light to medium staining. Yellow-toned stains are easier to remove and give an overall better result. Which people do not make good candidates for teeth whitening? Children (Under 16s). The pulp chamber/nerve of the tooth is enlarged until around the age of 16, and teeth whitening agents could irritate it or cause it to become sensitive. Pregnant or breastfeeding women. There is not enough research into the effect of teeth whitening on unborn babies, or babies who are still being breastfed. Therefore, at this time it is recommended that teeth whitening be avoided by all pregnant or breastfeeding women. Sensitivities and allergies. Those people with sensitive teeth or gums, or those with receding gums, should ensure that they consult with their dentist before starting any whitening treatment. Any person with allergies to peroxide should avoid whitening products that contain bleach. Those with fillings, crowns and other restorative work. 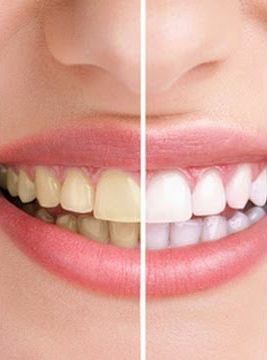 Tooth-colored fillings and resin composite material used in dental work do not whiten, and therefore using a whitening agent across a selection of teeth, some of which have had restorative work, can leave to uneven results. If possible you should bleach your teeth ahead of any work that needs to be done – but this does carry its own risks as whitening agents that leak into damaged teeth and gums can cause pain and infection. Alternatively, you can have any tooth-colored fillings replaced after the whitening process. Those with gum disease, cavities, worn enamel and exposed roots. As we have said, if whitening solutions get into any existing areas of decay it can cause problems including pain, irritation and infection. Whitening will also not work on any exposed roots as they do not have an enamel layer. Those with extreme or internal staining or darkening. Damage to the dentin or other internal areas of the tooth can cause irreversible darkening similar to a bruise within the tooth. Whitening only works on the enamel covering meaning it has no effect on any internal damage. Extreme staining can be almost impossible to shift, and the majority of patients who try teeth whitening on such stains find themselves disappointed with the overall result. Teeth which have very thin enamel. Teeth that have been eroded away due to acid reflux or other conditions are impossible to whiten. The reason that they appear discolored is because the dentin in the middle of the tooth has begun to show through. The only solution for this type of darkening is veneers. As with all cosmetic dentistry, we highly recommend that you speak to your dentist about your suitability for teeth whitening before you make a commitment.